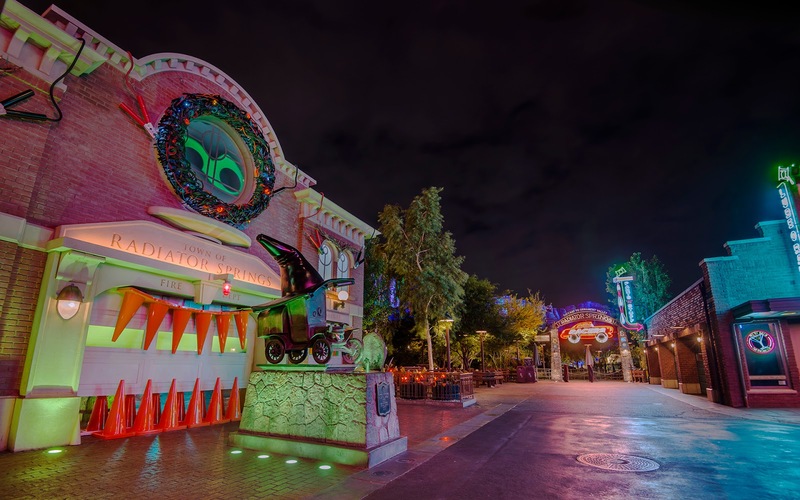 Halloween imagery is everywhere in Cars Land, and the most animated comes at the end of the main drag, where the statue of Stanley resides. The town founder himself has a black witch's cap on made out of a traffic cone, and mysteriously monstrous creatures appear behind hime. They're really just animated tractor eyes and teeth made out of traffic cones, but they're quite menacing (well, at times) nevertheless! It makes for a fun and playfully macabre scene! The Courthouse comes alive during Haul-O-Ween in Radiator Springs!